Windows users have always had many problems with the Microsoft Store, but Microsoft has relentlessly tried to come up with fixes every time. Today we’re talking about an update that takes of some problems with Windows apps. 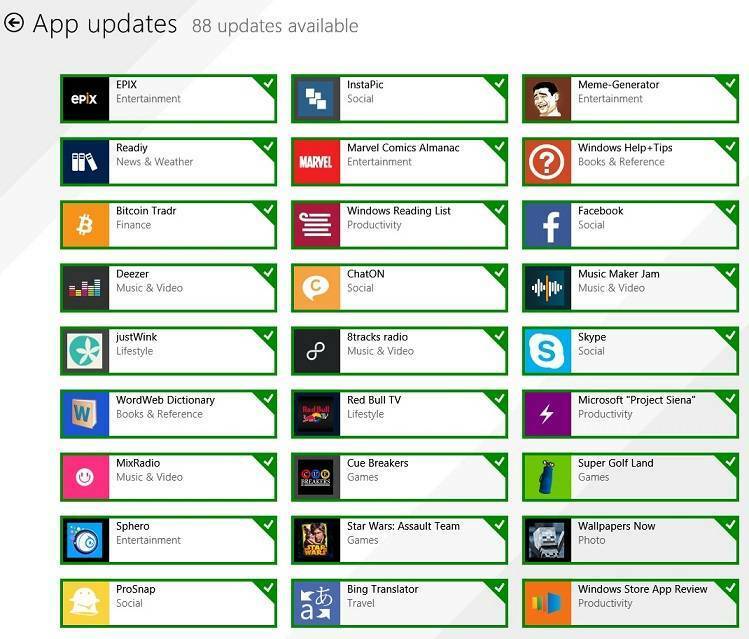 How to fix ‘Microsoft Store Apps not updating automatically’? As part of update KB 2919355, Microsoft has recently released an update that takes care of some annoying problems related to the updating process of the Microsoft Store apps. So, the problems appear when if you have a Windows 8.1-based device that is connected to the Internet through a proxy and you configure Windows Store to obtain updates automatically; these don’t get through. So, by installing the aforementioned update, you will make sure that Microsoft Store apps will be updated automatically if you have selected this option from the menu. Microsoft also informs that this problem occurs when you use a statically configured Proxy Auto Configuration (PAC) file. What’s nice is that there’s a hotfix available, as well, so follow the links from below to download it. Still, make sure that you have the mentioned KB install on your machine before downloading them. ‘Store apps not updating’ issue has been investigated and the issue seems to be fixed. In case you encounter it, just check the solutions above. If the app don’t want to update, just try to reinstall it. You will find a guide here. This isn’t the only issue you might have with the apps from Microsoft Store. You can also have the annoying error when the apps from the Store cannot be downloaded. The apps are great, but there are many headaches that can occur while trying to use them. If you have any issues with one of them, just check our site for a fix and let us know in the comments if it helped you.